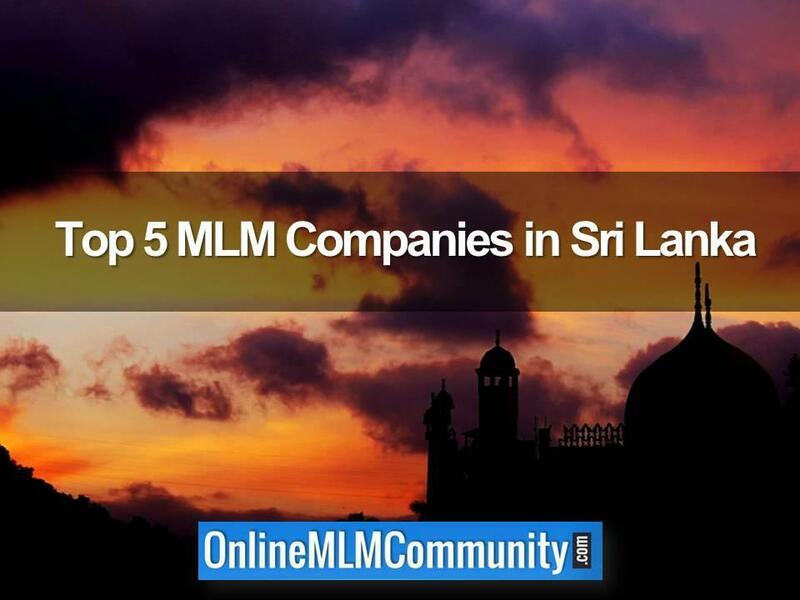 In today’s post, I want to share what I believe are the top 5 MLM Companies in Sri Lanka. Sri Lanka is a hotbed for the MLM Industry. Like many other Asian countries, people are looking for ways to take control of their own financial future. People want to own their own business. Since many of these folks can’t afford to start a traditional business, network marketing becomes a viable option for them. Here are a few quick facts about Sri Lanka, in case you aren’t familiar with this great country. Sri Lanka is an island country in south Asia. Colombo is the capital and largest city. The country became a republic and adopted its current name in 1972. Buddhism is the most popular religion in the country. The official languages are Sinhala and Tamil. Sri Lanka gained its independence from the United Kingdom in 1948. It is approximately 25,000 square miles in size. The population is approximately 21 million people. I have to start by telling you that this list was VERY difficult to put together. I could not find any type of listing with the Direct Selling Association, or any other entity that listed the MLM Companies in Sri Lanka. What I did was went through the largest 30 or 40 MLM Companies in the world and included them on this list if they did business in Sri Lanka. From what I could find, most of those top companies were not open for business in Sri Lanka. Founded in 1993 by Dr. Lim Siow Jim, DXN Global is one of the largest MLM Companies in the world. It does business in Sri Lanka and many other countries. DXN offers a wide range of products to include health and wellness, food and beverage, personal care, skin care and more. Many of their products are made with the Ganoderma mushroom. From what I found online, DXN does business as Magnum Investments, Ltd. In Sri Lanka. Our philosophy – to provide low price and high quality products, to keep a low profile while generating high income is ideal for direct selling. This system is equitably accessible to anyone of any background. Our free enterprise system enables anyone to enjoy personal achievements that lead to greater financial independence. More importantly, numerous people have testified to the benefits of our products when they gained better health through consumption of our products. Our philosophy is the foundation on which our success in the network marketing industry is built. Oriflame is a POWERHOUSE in the direct selling world. Headquartered in Sweden, Oriflame is open for business in Sri Lanka. It offers wellness products, skin care, fragrances, personal care, and much more. There are lotions and potions, deodorant, shampoo and just about everything else you can imagine. Oriflame is known for having great products at really affordable prices. Their prices are much more competitive than most other MLM Companies. I would say that Oriflame’s biggest competitor is Avon. Oriflame is dominated by women, although there are a few successful male distributors as well. Oriflame has the reputation as more of a direct selling company than network marketing, although they do have an MLM Compensation Plan. Here is their mission and vision statements from the corporate website. Our Vision is to be the #1 Beauty Company Selling Direct. Our Mission is to Fulfill Dreams. I spent some time on their website and to the best of my knowledge, Nu Skin does business in Sri Lanka. If I am wrong, please leave a comment below and I will update this post. Thanks. OUR MISSION IS TO BE A FORCE FOR GOOD THROUGHOUT THE WORLD BY EMPOWERING PEOPLE TO IMPROVE LIVES WITH REWARDING BUSINESS OPPORTUNITIES, INNOVATIVE PRODUCTS, AND AN ENRICHING, UPLIFTING CULTURE. Nu Skin is one of the BIG DOGS, doing nearly $2.6 billion in sales in 2018, making it one of the top 10 largest MLM Companies in the world. Nu Skin was founded in 1984 and is headquartered in Provo, Utah. They offer high quality skin care products, personal care items and some nutritional products. Through our corporate social responsibility efforts, Herbalife Nutrition supports the Herbalife Family Foundation (HFF) and our Casa Herbalife programs to help bring good nutrition to children in need. We are also proud to sponsor more than 190 world-class athletes, teams and events around the globe, including Cristiano Ronaldo, the LA Galaxy, and numerous Olympic teams. We had to put Amway as the # 1 MLM Company in Sri Lanka. They are time-tested and they are also the largest MLM Company in the world. Here are a few facts about Amway. Our vision is quite simple. We work each and every day to help people live better lives. We achieve our vision by helping people everywhere discover their potential and achieve their goals by offering better brands and opportunities for the future, and by sharing generously with the global community. What are your thoughts? What do you believe are the top 10 MLM Companies in Sri Lanka? Leave a comment below to let me know what you think. I look forward to hearing from you. Next Next post: Prospecting vs. Marketing: Which Strategy is Better?